Grainne Carson Clegg is a printmaker based in Edinburgh. 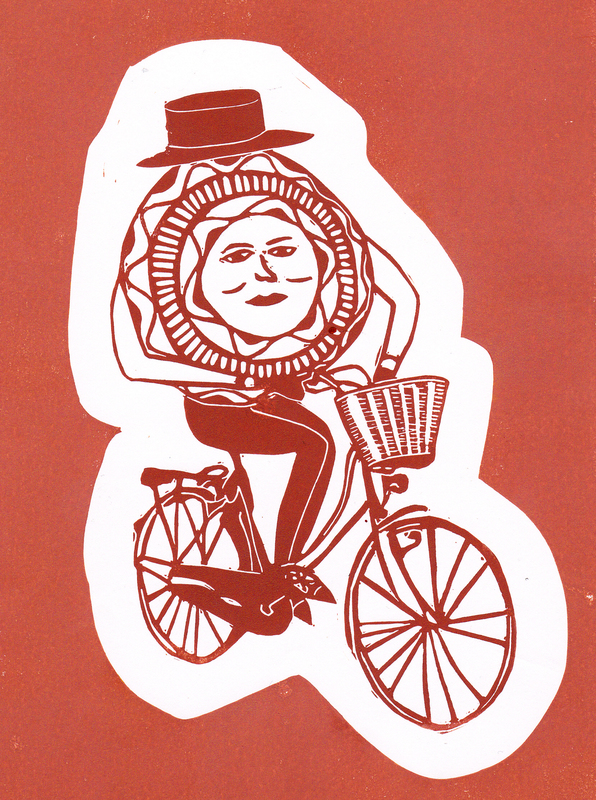 Utlising stories told to her by her Deaideo (Grandfather) Liam MacCarrain about a strange character called Koffeedoff, Grainne’s printmaking explores family histories, local mythologies and childhood memories. The image of the jovial, rotund gentleman acts as a mischievious symbol of the people and places that we all recall from when we were young. Although Koffeedoff doesn’t appear in all Grainne’s work, it is in this spirit – with a desire to connect the present and the past – that the work is made. The tradition of craft, which passes on skills and information from one generation to the next, is connected to familial ties, a sense of home and the act of story-telling. Many of the prints featured on this site are available for purchase on Folksy. Click here to go to Folksy.